Alexander Young (A.Y.) Jackson (1882 – 1974). 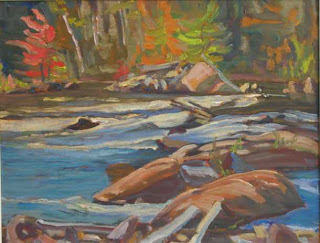 A. Y. Jackson was a member of famed Canada’s Group of Seven. 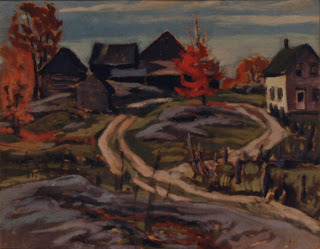 Jackson moved to Manotick outside of Ottawa in 1952, and painted throughout the Ottawa valley over the next 16 years. The A.Y. Jackson trail documents some of his sketches in Renfrew County during this period..
With friends and fellow painters, Maurice Haycock and Ralph Burton, Jackson traveled the back roads to Dacre, Calabogie, Eganville, Lake Clear, Brudenell, Killaloe, Rockingham, Quadeville, Barry’s Bay, Paugh Lake, Madawaska, Whitney and Algonquin park. Fifty years later, two contemporary Lake Clear artists, Kathy Haycock and John Almstedt traced Jackson’s travels using actual paintings, titles, notes and personal experience to locate the painting sites of some of A.Y. Jackson’s works. Click here for a map of the A.Y. Jackson Trail. For more information on the A. Y. Jackson Trail visit the Ottawa Valley Tourist Association website. More on the A.Y. Jackson Trail and links to information and works of contemporary local artists. 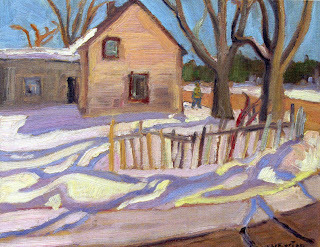 Ralph Burton was an Ottawa Valley painter who painted with A.Y. Jackson and Maurice Haycock. A few of his painting are featured below, and take a few moments to view a slide show tour of 34 of his paintings at the bottom of this column. 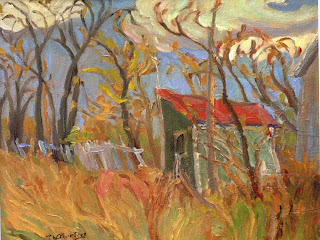 Maurice Haycock was a well known Canadian artist. Best known for his sensitive and extensive oeuvre of Canadian Arctic work, he also painted across "southern" Canada and concentrated on the upper Ottawa Valley which was near his home in Ottawa. 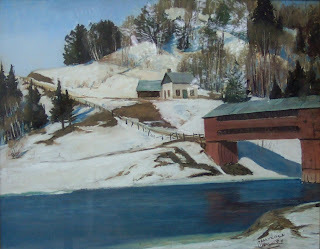 He began painting in watercolours and pastels, then oils, in the Ottawa area during the mid 1930’s. In 1941 he reacquainted with A. Y. Jackson, whom he had first met on the ship Beothic, at Pangnirtung Fiord on Baffin Island in 1927. Haycock was a young geologist doing mapping at the time and Jackson was on a painting trip. 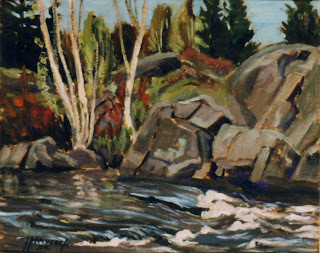 After 1941 they continued to travel and paint together throughout the Ottawa Valley and across Canada, until Jackson’s death in 1974. 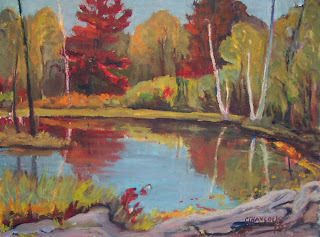 From the late 1940's until the mid 1960's Jackson, Haycock and Burton took many sketching trips together through the Upper Ottawa Valley and Madawaska Valley. They recorded in their paintings the rugged geography and post war rural farming country. After 1965, when Haycock retired from his position as Mineralogist with the Geological Survey of Canada, he spent his summers painting in the Arctic. 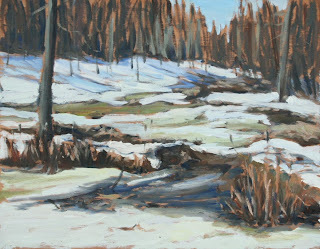 A collection of his northern art and painting experiences, “On Site with Maurice Haycock, Artist of the Arctic” was published in 2006 by his daughter Kathy.